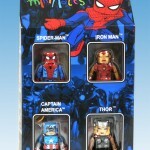 Coming soon to a Disney Store near you is the Marvel Classic Heroic Age Minimates. 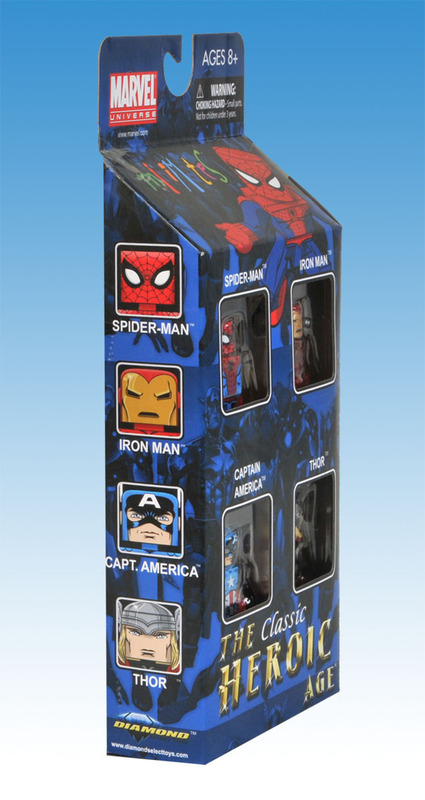 Art Asylum has posted the first pics and info for the Minimates 4-Pack which will include classic versions of Spider-Man, Thor, Iron Man and Captain America. See some pics by clicking the headline of the story. 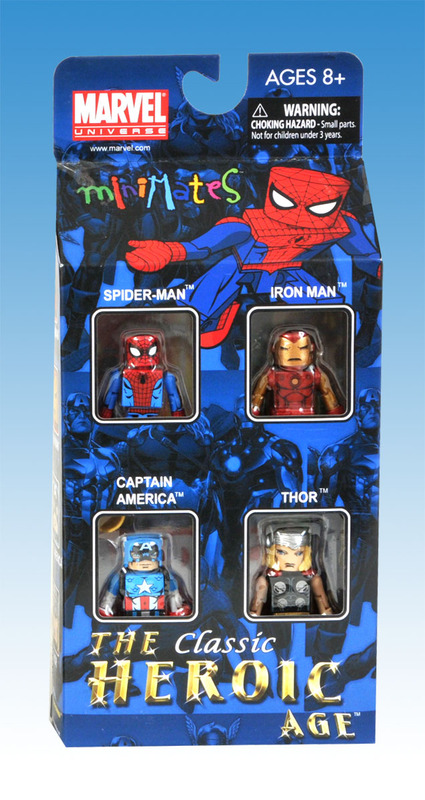 Not a bad set, but I think the Hulk would be more fitting in lieu of Spiderman. Kind of a weird set to put out... The differences are so few that I'm a little disappointed with the selection. 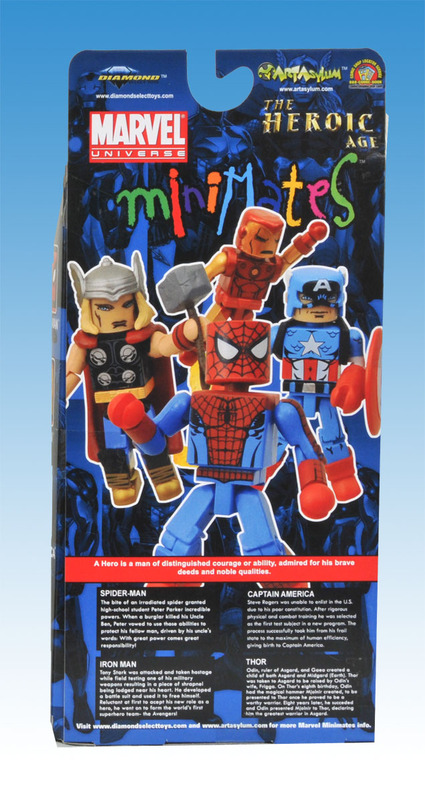 I would love to get a Bleeding Edge minimate, or a Steve Rogers figure, but I'm sure I can look forward to those in sets that are easier to get.